• Acting as Co-Managing Director, Yehuda is responsible for the company’s strategic direction and oversees the company’s investments, day to day management and operation including development and construction. With over 25 years of professional experience in Real Estate Development and Construction, Yehuda has a track record of acquiring, developing and management of properties over $3 Billion in residential and commercial assets across North America. • Prior to establishing Minrav Development, Yehuda was the Executive Vice President of Development for Fishman Holdings North America, Inc. managing all aspects of the company’s acquisitions, development, building management and construction in the United States. • Prior to that, Yehuda was the Vice President at Elad Properties NY and was responsible for the development of various projects. • Yehuda holds a degree from PRATT Institute School of Architecture, Construction Management. • Acting as Co-Managing Director, Lior leads the Company’s management and US operations, sets the Company’s objectives and is responsible for the business development, acquisition, development and investment transactions. • With over 15 years of professional experience at key management positions in the NY Real Estate Market since 2001, Lior has a track record of managing, acquiring, financing, developing and selling over $2 Billion in Residential and Commercial Real Estate assets across the US and Overseas. • Prior to establishing Minrav Development, Lior was the Senior Executive Vice President at IDH Group, managing all aspects of the Company’s real estate investment operations, acquisitions, legal, financing and sales in the US. 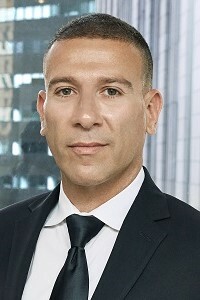 Prior to that, Lior was the Foreign Legal Consultant and Chief Operating Ofﬁcer at Manhattan Real Estate Equities Group, an afﬁliate Company of Poalim Investments, at the time, one of Israel’s largest investment public companies, managing its New York operations and responsible for the acquisition, legal, financing and sales of hundreds of luxury condominium transactions in Manhattan. 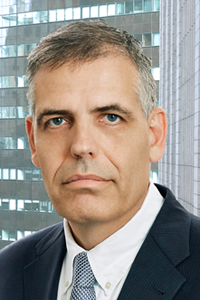 • Lior graduated with honors his Law Degree and Master of Laws Degree in International Commercial Law from the University of Sussex, Brighton, UK and was admitted as a Member of the Israeli Law Bar since 1999. • Acting as the Sr. Development Project Manager, Carmine is responsible for the management and overseeing all aspects of the day to day project construction operations. • With over 30 years of wide-ranging experience in the New York residential and commercial markets, working with several notable developers, Carmine was managing various noteworthy projects, including condominium towers, hotels, residential rental towers, commercial buildings and warehouses. In addition, Carmine also has previous experience in Infrastructure and community developments. 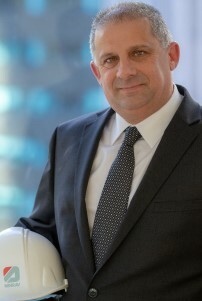 • Carmine graduated from School of Architecture at CUNY in 1987 and began his career as a project superintendent/manager for several large construction management and general contractor companies, working up to managing staff and large-scale projects.